Ideal for beginning artists who would like to experiment with different media, The Art of Drawing & Painting Portraits teaches you how to create beautiful and realistic portraits in pencil, pastel, watercolor, oil, and acrylic. Loaded with step-by-step instructions for an array of projects, this wide-ranging book covers it all. 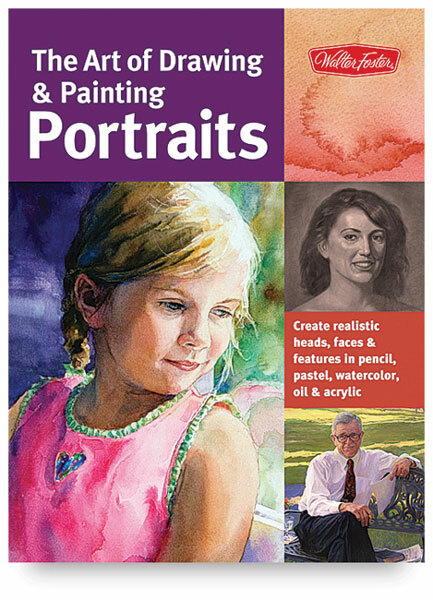 In these pages, explore various approaches to portraiture introduced by four different artists — Timothy Chambers, Ken Goldman, Peggi Habets, and Lance Richlin. With their help, learning how to paint portraits can be as easy as it is enjoyable. Authors — Timothy Chambers, Ken Goldman, Peggi Habets, and Lance Richlin. Paperback. 144 pages. 9" × 12" (23 cm × 31 cm).